WHY INCLUDE FALL PROTECTION OBJECTS? Do you already include 3D objects of fall protection anchor points, lifeline systems or guardrails in your 3D models? 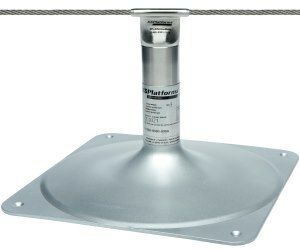 Lower failure costs and no (or less) unnecessary drilling in the roof of your building. Know in advance that the aesthetics of the building are retained, and not affected by fall protection solutions. Update your 3D model with fall protection to utilize in a BIM environment. XSPlatforms supplies fall arrest and personal restraint systems that are tested according to the highest quality standards. Our fall protection systems are distributed trough a worldwide network of specialized Partners in more than 25 countries. 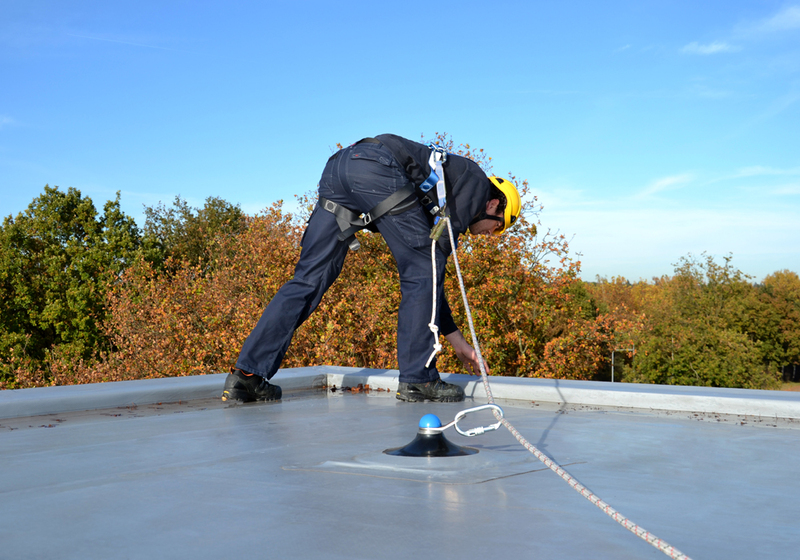 Our fall protection range comprises easy-to-install solutions that cover almost every surface: aesthetic singe-cable and multi-cable lifelines trajectories and anchor points to be mounted on roofs, on walls or overhead. Download one of our 3D object sets below: anchor points / horizontal lifelines or guardrails. These sets contain different 3D objects which are built in Autodesk Revit and have the .rfa file format. If you need our 3D object sets in SolidEdge file format, contact us for support. These 3D object sets are for basic roof surfaces (concrete, steel or plywood). If you would like 3D objects for advanced surfaces, such as standing seams, contact our engineering department. A single anchor point consists of an anchor, a base plate and an attachment point. Anchor points are used as permanent anchors in the surface of a structure. 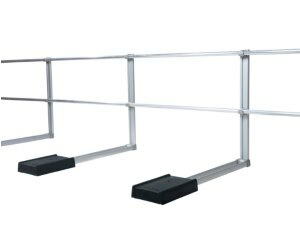 A horizontal lifeline system consists of a permanent steel track that runs through multiple anchor points fixed in the roof, connected to a safety harness. 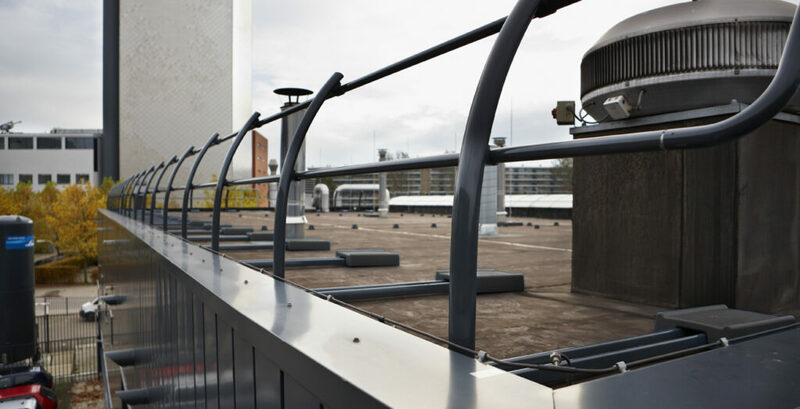 Guardrails offer collective protection on the roof. 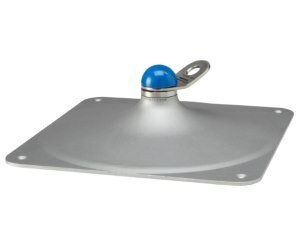 They are usually placed at roof edges, or from roof entry to the safe zone. Workers do not need to wear any PPE on the roof. Do you need help to integrate our 3D objects in your model or do you need a custom fall protection solution?